Nature Posts: Now That Is Camouflage! I was walking along in a sunny spot in the woods looking for a certain kind of leafmine when I found this camouflaged creature. The camouflaged creature thought itself hidden so well that it allowed me to move branches and take photos within a few feet it and she didn't move a bit. I think I see a rabbit's eye, but I'm not sure . . .
what animal is hiding in the leaves. 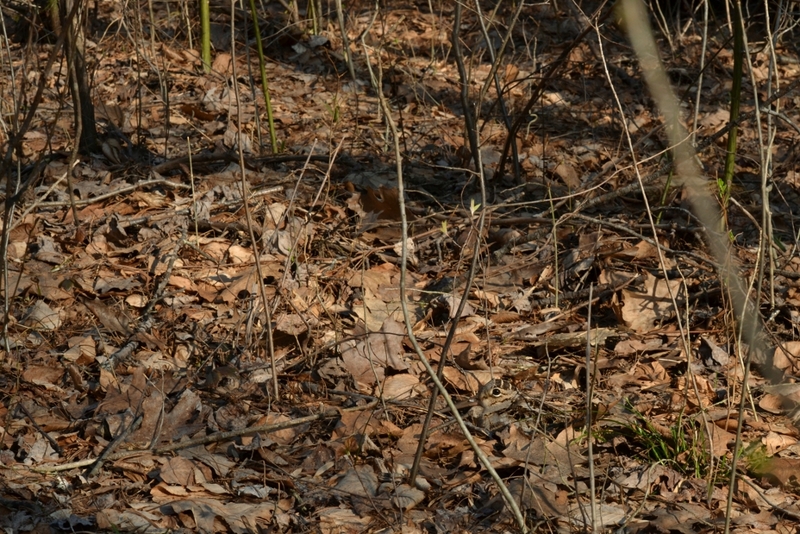 Here's a hint: in the lower right of the photo is a well-camouflaged bird. It is a Woodcock that is sitting on her nest.